Lampedusa. The life of Doctor Pietro Bartolo turned upside down and inside out when refugees from fighting in North Africa and the Middle East began to arrive on his native island of Lampedusa. 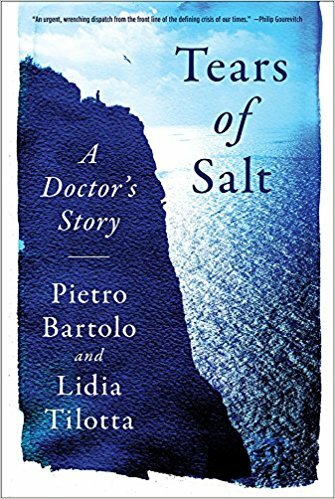 In his book titled, Tears of Salt: A Doctor’s Story, Bartolo tells us of his life and of this time when how a person feels about the dignity of every life requires the hardest work one has ever done. While much of what Bartolo describes in this book involves suffering, the inspiration comes from his steadiness while facing the unexpected, and how he did all he could to alleviate suffering. Rating: Five-star (I love it) Click here to purchase Tears of Salt from amazon.com.